Hey hey! Dave tells me you'll be doing "Boys Night Out" and I'm TOTALLY JAZZED! You did a fantastic job with everything I've seen so far! I will start working on your scenario in a little while. Unfortunately,I can hardly make time for other works now. 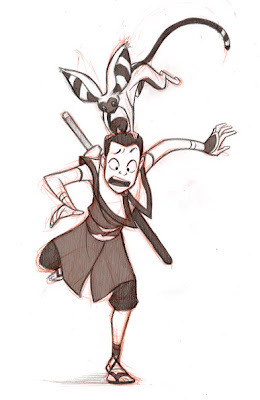 I am enjoying work on Avatar comics. Check out the Sponge Bob Square Pants comic magazine! Is that our story? Looks like it. Cool!